Secure a Hidalgo del Parral vacation package on Expedia today! This is by far one of the best ways of saving time and money for your incredible vacation. With more than 400 partner airlines and 321,000 properties to select from on our comprehensive database, you won't have any problems organizing your dream vacation. Almost all bookings can be cancelled with no extra charge from us. Feeling excited about your trip to Hidalgo del Parral? After a few hints about what to see when you arrive? That's where we come in! It's often been said that knowledge is power. With that in mind, you'll definitely feel more powerful after spending an afternoon at Fransisco Villa Museum. There's a great range of things to keep you busy in this destination. Try to picture the stories hidden in the walls of Alvarado Palace as you appreciate its splendid facade. Still have some time on your hands? Many have said that knowledge is power. With that in mind, you're sure to feel a little more powerful after spending a morning at Mina La Prieta. Finding somewhere comfortable to stay is often crucial to the perfect luxury getaway or cheap vacation. With only 2 accommodations in Hidalgo del Parral, be sure to book as soon as your dates are confirmed. 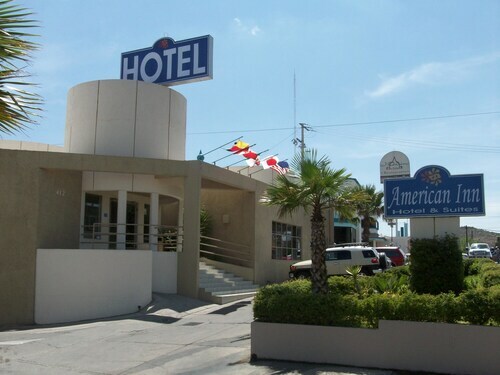 The American Inn Hotel & Suites Hidalgo del Parral (Prol. 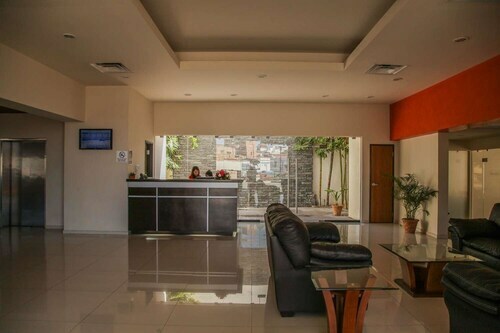 Ave Independencia 412) and the Best Western Plus La Mina Parral (Ricardo Flores Magon 1) are well-known to vacationers. General Roberto Fierro Villalobos International Airport (CUU) can be found 130 miles (209 km) north of the main area of Hidalgo del Parral. Find your luggage hail a cab and let your vacation begin! Situated in Hidalgo del Parral, this hotel is within 2 mi (3 km) of Parral Cathedral, Alvarado Palace, and Fransisco Villa Museum. Situated in Hidalgo del Parral, this hotel is within a 5-minute walk of Parral Cathedral and Alvarado Palace. Fransisco Villa Museum is 0.4 mi (0.6 km) away. Situated in Hidalgo del Parral, this hotel is within 3 mi (5 km) of Parral Cathedral, Alvarado Palace, and Fransisco Villa Museum.